Start taking classes at Cycle Extreme and other studios! 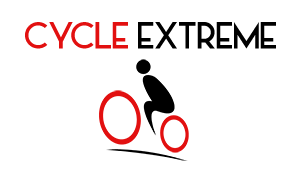 Cycle Extreme has built a community of committed indoor-cycling enthusiasts through their state-of-the-art studio, top-of-the-line bikes and the infectious energy of their instructors. During grueling hill climbs and sweat-soaked sprints the staff keeps legs spinning and cyclists smiling with pumping music and constant encouragement. Though workouts center around the bike, they are full-body affairs, ensuring bodies are toned and fit. Please bring cycling shoes if you have them (with SPD clips only) or sneakers with you to class, as well as a water bottle. Cycle Extreme is located at 12125 W Linebaugh Ave, off of Countryway Blvd. 1st time at this location and I really enjoyed the class. Ashley was upbeat and had an awesome playlist !! Ellis is such a nice guy- so much fun! This studio is very friendly and welcoming! I enjoyed my ride - they use a different set of metrics shown on screens for you to monitor your personal progress, which Im not used to but I found amazing! The only drawbacks were that, unfortunately, the music is not played very loudly so you can overheat the other riders which kind of took me out of my zone. I also felt like the music was lacking and they definitely didnt utilize taking into account bpms when guiding the ride. Great work out! It was my first spin class and everyone was so nice. I felt very comfortable and got an awesome workout! Will definitely be going back! That was the best spin class Ive ever taken. The best spin class Ive taken so far! Loved the studio and staff. Will definitely be back!